New Delhi, Apr 5: The Committee on Allowances, formed to look into the provision of higher allowances other than dearness allowance under the 7th Pay Commission, will hold a key meeting with the National Joint Council of Action (NJCA) today (April 6). Probably this may be the conclusive meeting between the Committee on Allowances and representatives of the central government employees’ unions. The Committee on Allowances is likely to submit its report on higher allowances under the 7th Pay Commission to the Finance Ministry after this final meeting. “There is no confirmation given to us on higher allowances under the 7th Pay Commission or arrears. The Committee on Allowances is yet to finalise its report. The next meeting will be on April 6,” Shiv Gopal Mishra, national convenor of the National Joint Council of Action (NJCA), told India.com. “The arrears of allowances is our right. 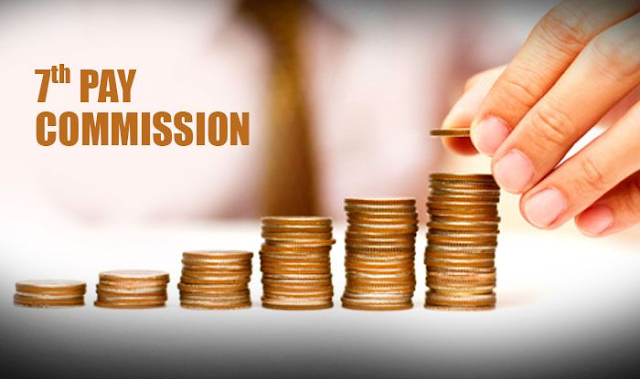 The date of 7th Pay Commission implementation was January 1, 2016. The employees wait for 10 years for the hike. Since the Government failed to implement 7th Pay Commission on the slated date, then it is their duty to provide us with arrears,” the employee union leader added. Meanwhile, the committee on National Pension System (NPS) has submitted its report to the Cabinet for which 53 lakh of pensioners are eagerly waiting. Shiv Gopal Mishra also informed that report on higher allowances under the 7th Pay Commission is in its final stage. The Committee on Allowances may submit its report on higher allowances to the Finance Ministry after tomorrow’s meeting with representatives of the central government employees’ unions. It’s been almost ten months since the government accepted recommendations of the 7th Pay Commission, but the decision on minimum wage and higher allowances have not reached to final conclusion. The NJAC demanded to increase “minimum wage from Rs 16,000 to Rs 25,000 per month” and to pay “higher allowance with effect from January 1, 2016”. The 7th Pay Commission had recommended abolition of 51 allowances and subsuming of 37 others out of 196 allowances, which was widely opposed by the central government employees. The Committee on Allowances, formed to look into the provision of higher allowances other than dearness allowance under the 7th Pay Commission, will hold a key meeting with the National Joint Council of Action (NJCA) tomorrow (April 6). Probably this may be the conclusive meeting between the Committee on Allowances and representatives of the central government employees’ unions.